Ardamax Keylogger is not unique spyware. However, the fact that in the different versions of spyware, it has different path to the application folder, and names of the folders are different, says that it is not so easy to detect it by traditional methods – adding to the database of malware. 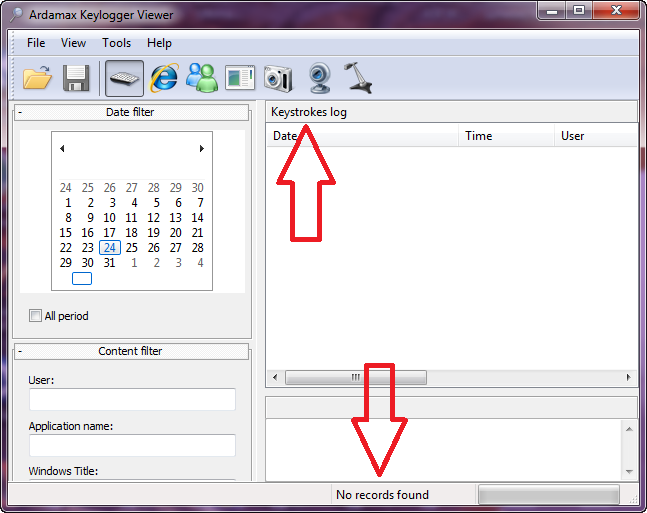 To find and remove Ardamax Keylogger run COVERT Pro, and in the main window click “System processes.” Then go to “Hidden processes“. This function highlightes in red all the processes that hide themselves in the system. 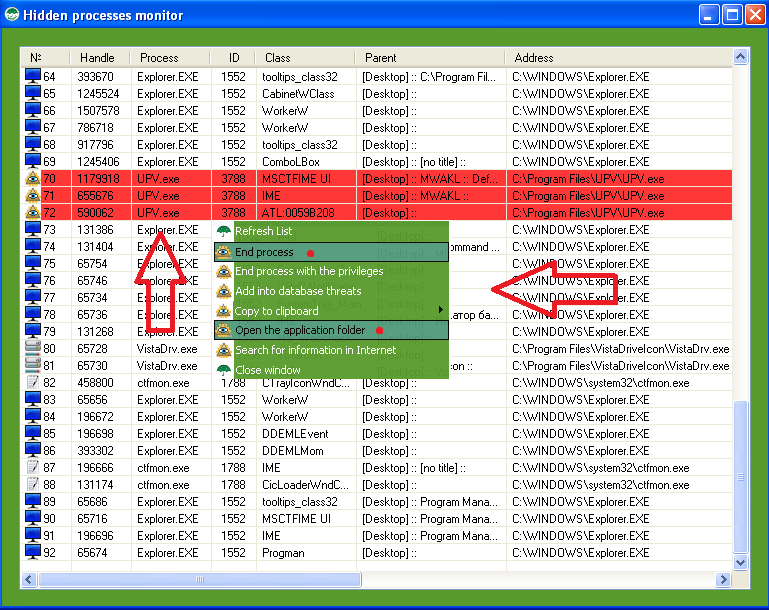 In the screenshot below, we can see the highlighted in red hidden processes. This is the file of spyware Ardamax Keylogger. Now he has a name UPV.exe, but in our tests, it was called PMG.exe, IGW.exe, AKV.exe, SUS.exe. It is possible that in the future development of this spyware tendency to change parameters in the system will continue. Therefore, the absence of these names in the system does not mean that you do not have this spyware. It can change its settings again. Spyware Ardamax Keylogger has been detected. Add it to the “Database of threats.” To remove spyware, go to its folder, but first interrupt its process using the context menu. 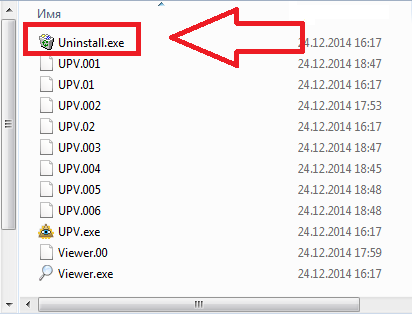 Using spyware’s uninstaller remove it and its folder. Spyware Ardamax Keylogger has been detected and removed. To mask your data from spyware Ardamax Keylogger using COVERT Pro, just go inside secure platform by clicking “Login to the secure platform” button in the main window. All your actions inside the platform will be hidden from spyware. Here’s would see spyware after your work in the safe environment. It is not always possible and necessary to remove spyware. With the new direction of protection from spyware – masking, you can deceive or mislead people who are spying on you. 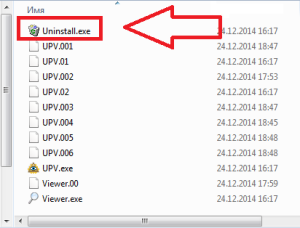 Sometimes it is even more effective than removing spyware tool. 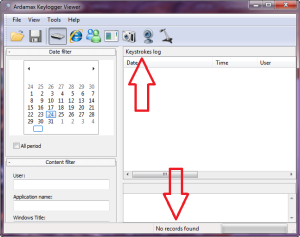 How to find and remove Ardamax Keylogger you can see in the video video guide.